Kenton-on-Sea, Eastern Cape, South Africa in July 2009. 01 Jun 2009. Robert Anderson. © Robert Anderson (Robert.Anderson@uct.ac.za). 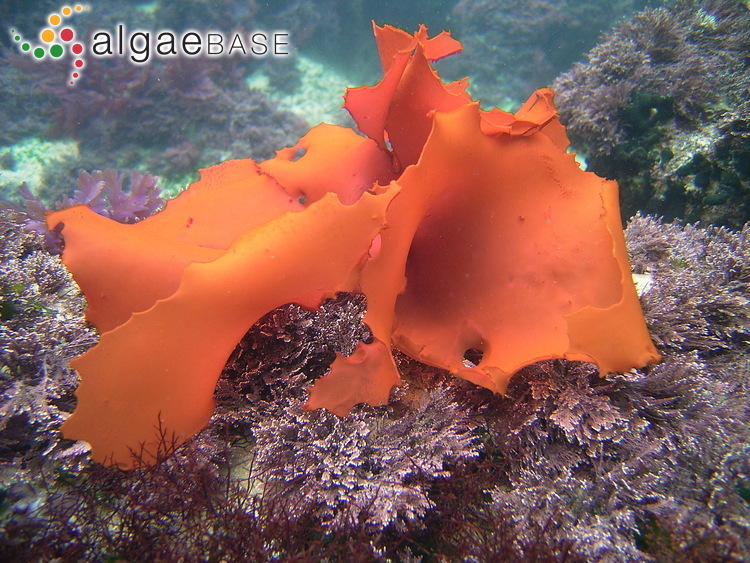 Falae Bay, South Africa; with Caulerpa holmesiana. 01 Jan 0001. Robert Anderson. © Robert Anderson (Robert.Anderson@uct.ac.za). 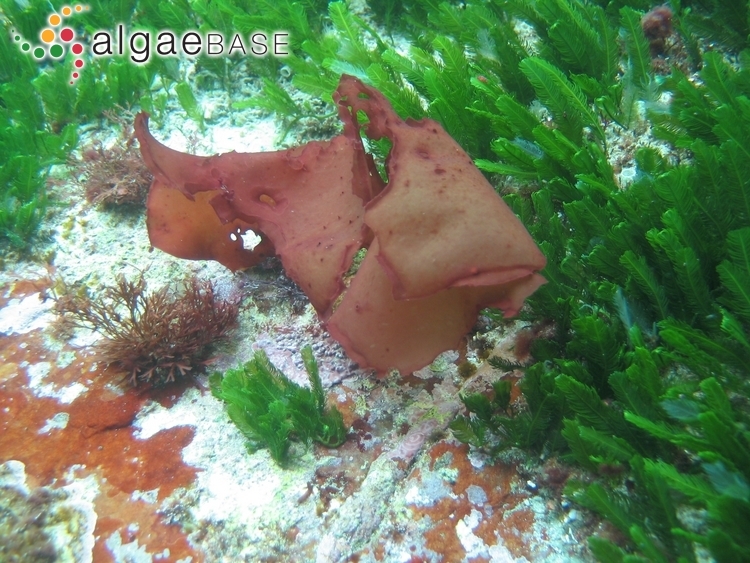 The type species (lectotype) of the genus Pachymenia is Pachymenia carnosa (J.Agardh) J.Agardh. Type locality: Cape Agulhas, Cape Province, South Africa (Silva, Basson & Moe 1996: 202). Accesses: This record has been accessed by users 1634 times since it was created.